You want a website that works for YOU! We have heard many horror stories from clients who have spent $1,000′s of dollars on a website and didn’t get what they paid for. They don’t know who to turn to to get them online at a reasonable price, to get a great looking website that does what they want, brings in customers, and generates sales. We have also heard tales of disappearing webmasters, inability for clients to access their own websites, sites that are impossible to update, sites that should be mobile friendly but aren’t, and web designers that have taken money upfront, but never actually produced a website. The Small Business Geeks have a business model that addresses all these concerns. We are here to support you fully and will spend time up front with you so you can make informed decisions and plan out what you need for your site. We will work with you to create a beautiful website that does all that you need it too, train you on how it works (if you want), and make sure that you get found online. Most importantly, while you’re doing what’s most important for your business and life (watching the footy, quality time with friends or family, etc) your website will be working hard for you! “Keyword research is one of the most important, valuable, and high return activities in the search marketing field. Ranking for the “right” keywords can make or break your website. Through the detective work of puzzling out your market’s keyword demand, you not only learn which terms and phrases to target with SEO, but also learn more about your customers as a whole. When it comes to websites, even with all of the evolutionary changes online with the huge growth of importance of Social Media in the Online Marketing mix, it is still mandatory for a website to be built around relevant keyword phrases for that business. If you want your website acknowledged by the Search Engines and have a chance to appear on the all important first page, top 3, then you need to target specific keyword phrases and been seen by the search engines to be authentic in all aspects of your website’s configuration. Keyword phrases are what real people are typing in when they have a search query. Therefore it’s natural to want your business to show up for that keyword phrase. Equally logical is for these keyword phrases actually being searched for currently. It’s not about what you and I think the best phrase is. It’s about assessing the search estimates provided to us by Google. And whilst the source is Google. We have no way of assessing how exact these estimates are to reality. The good news being that everyone in the industry is in the same boat. That is why we use estimates as an across board starting point. And then we test and monitor through tracking to ascertain actuals and work out what modifications may be necessary moving forward. Ideally you would want to see that not too many other sites are targeting the same keyword phrase (Competitive figures head into the millions for competing sites). As the bigger the number of other sites going after the same keyword phrase, if they are then also optimized well; the longer it will take for your site to move it’s way up onto the first page, and the ultimate top 3 position. The analogy of being at a concert, and arriving at the back but wanting to make your way up to the front works here. The bigger the audience, the harder it is to work your way to the top. A reality for local businesses however is that, for some businesses it would be imprudent not to target a keyword phrase as that is what your business is about and that is what your key competition are targeting. Then it comes down to other strategic solutions may be required in order to encourage faster traffic to your site. The Small Business Geeks approach to Keyword Research is to use a range of highly sophisticated and proprietary tools, along with several years of hands on industry experience to complete our assessment. Providing you with our recommendations for which keyword phrases to target and build the website around. The Small Business Geeks approach is all about being relevant to both the target market and also the Search Engines. Both use different criteria to assess the authority of a website. The user is wanting to feel connected to the business/site and have an enjoyable user experience where they ‘get what they came for’ when searching for your site. The Search Engines (driven by market leader Google) assess both on User criteria. They want to see a site is well laid out and provides an easy and effective user experience. They also assess quality of content, and whether it is connected (LSI: Latent Semantic Indexing) with the keyword phrase being targeted. They will negatively assess and punish your site if they feel that a site is keyword stuffing or spamming. Or does not have relevant content to what their algorithm’s criteria requires. When it comes to Website design, The Small Business Geeks work with a range of different platforms, primarily WordPress and Joomla. 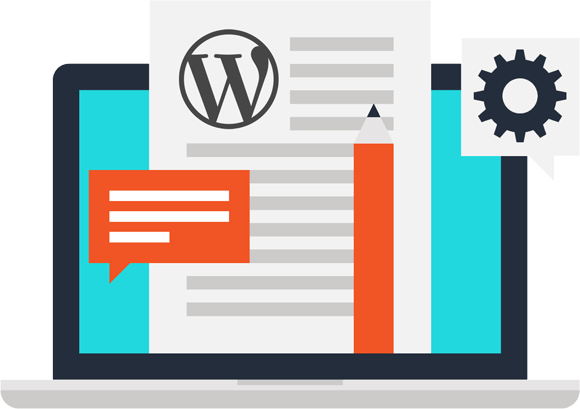 We assess all the elements in your Strategic Recommendation and then locate a base WordPress template from the 100′s of thousands on the marketplace, that we believe will best meet the objectives for the site. This template is then modified to reflect exactly what your business, and you, require. Which may also include additional custom coding to achieve the desired result. Resulting in an outcome that is original and unique to your business and your business’s requirements and looks fantastic to your target market. Content is imperative to a Website’s success. As the Search Engines evaluate authority based on the perceived quality and relevance of the Content to the keyword phrase and target user (as well as other factors). This is again achieved with their algorithms, which are improved upon several times a year. All with the aim to improve the User’s search experience. Therefore Content must be of a certain length, contain a balance of keyword phrases and other phrases related to that keyword phrase (latent semantic indexing). Generally concentrating on one keyword phrase per page of content. Content must always be Unique. This means that is can not be found to already exist online anywhere else. So Copying & Pasting or Rewriting existing Content are not viable options if you want the Search Engines to reward your site with that all important Authority. 1. Client creates Content, guided by The Small Business Geeks as far as length and structure of this content for each page, as per the Search engine specifications. All edits are to be completed by the Client until completed. 2. Client provides base Content & The Small Business Geeks edit it. 3. 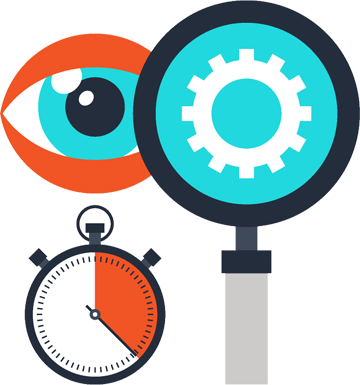 A Content provider, skilled in your field, will provide the content as per the Search engine specifications. Basic On Page Optimisation is a mandatory requirement for a site to achieve any chance of being recognised in the Search Engine results. On Page Optimisation = on your website. It includes such things as having the right balance of meta keyword phrases (Google no longer assesses these, but other Search Engines do), description and title to reflect what the user is typing in. Each page requires different meta tags. Copying and pasting the same tags page to page, will result in a penalty by the Search Engines. As too will having too many keyword phrases, to words in your description or title. Also on the web pages there has to be the correct balance and layout of Keyword Phrase via Headings and where it appears in the Content. All of this is highly detailed and requires a thorough understanding of the differing Search Engine algorithmic requirements. On Page Optimisation is equally relevant whether you are looking to gain traffic organically or via paid methods. The Search Engines driver will always be to provide a quality user experience, and they determine what that looks like, not you or I. All of these elements are crucial inclusions on any site. Google Analytics provides traffic stats for the site and specific keyword phrases Webmaster Tools lists your site in Google and now a days you will receive messages from Google if your site is in danger of being de-indexed due to a recent algorithm change. Privacy Statements are a standard requirement, or alternatively you may include a Terms page. Google also looks to see a full name and address and phone number, and this needs to be the same anywhere your business is represented online. Google’s (and other search engines’) spiders track this. Site Maps are indeed plural. 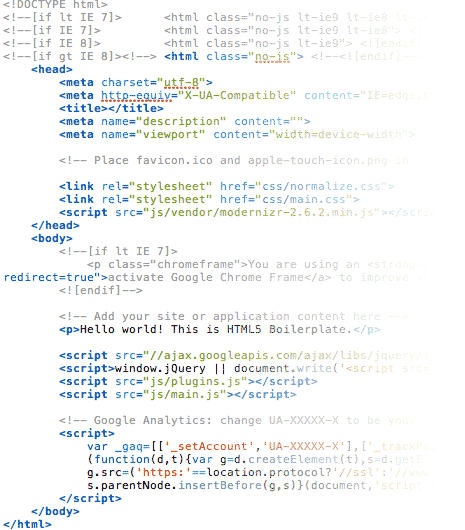 Google requires a site to have an XML site map (for the Spiders) and also a User friendly site map. Don’t worry – The Small Business Geeks will ensure that all of these are set up for you! Used to be the standard website. This is your main site, that people look at on desktop and laptop computers. Website Development focuses on creating a Desktop Site. If The Small Business Geeks are creating your Website from the beginning, they will automatically include a Mobile Friendly version. However you may already have a Website, and then it becomes about creating a Mobile Friendly modified version of your site. That with the magic of coding, will be what a user is redirected to if they are searching via their Mobile. It is commonly accepted now that smartphone internet browsing and tablet internet browsing is growing at such a rapid rate it will eventually supersede the Desktop version. Seriously when was the last time you sat down at your computer? It is ESSENTIAL to have a specially designed Mobile Friendly version of your site is because when people are searching through their phone, they are motivated differently. They are likely to want to be able to call you from your site. Find directions. And be told of any special deals. Plus the configurations of a Mobile device (with over 400 brands on the marketplace) are different to a desktop, so it is about fitting it in elegantly on that Mobile device. Previously many sites were created using a technology called Flash. These have been termed by the Search Engines to detract from the User experience and are therefore penalized as such on the Desktop. And the iPhone which is globally popular, as with all Apple products, will not play Flash. So when your customer goes to find your business on their phone all they see is either stark black or white and nothing else. Meaning a missed opportunity at converting a prospect to a paying customer! Again, a different configuration to a desktop or smartphone. The iPad will not play Flash. 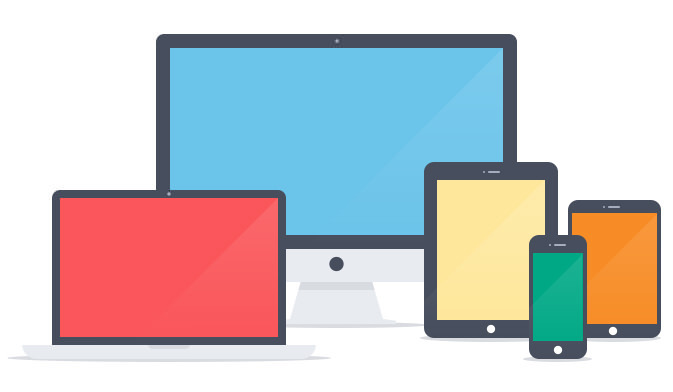 How many people are using tablets instead of desktops? An important factor in today’s world to help your website rank higher in search engines. Whether you have a blog on your own domain or on a separate one (think Tumblr, Blogger etc), having a blog shows adds value to your customer, and allows you to share more content with your customers. There are of course several solutions. It may be something you, or one of your employees are happy to commit to doing. Or we at The Small Business Geeks could locate, and contract someone (who is already experienced in your field, or you agree to train) to post on your blog on your behalf. As you can now no doubt see, it is so much more than just having or creating a website. In order to get the best bang for your buck, it is strongly advised that you create a site that is given the chance to be seen by your target market because it meets the search engines’ requirements as much as providing an engaging user experience.